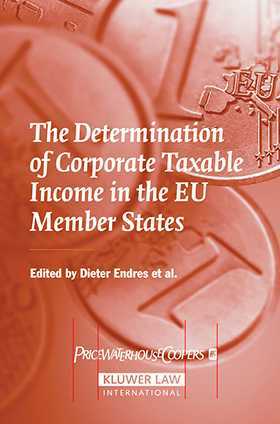 The survey underpinning this invaluable work was inspired by an increasing appreciation within the EU of the need to achieve some degree of direct tax harmony. The essential starting point for such an undertaking is a set of standardized rules for the computation of EU-wide income. Company law developments point to the International Accounting Standards (IAS) / International Financial Reporting Standards (IFRS) financial statements as a basis from which to work. IFRS are now required for published group accounts and are allowed for single-company financial statements. However, as explained in the text, there are serious drawbacks to basing any form of national taxation on IFRS as they stand. IFRS are not designed with tax policy objectives in mind and change too frequently to satisfy any claim to tax legal certainty. Public debate is hampered by a general lack of knowledge of tax accounting customs in other countries, especially as reliable works are often only available in the local language. This comprehensive survey conducted by the universities of Goettingen, Mannheim, and Erlangen-Nuremberg with the support of PricewaterhouseCoopers fills that gap. For the first time, details of the tax computations for corporations from all twenty-five member states of the EU have been collated in a common format and are compared with the IFRS treatment. The book is an invaluable reference work providing the practitioner with a broad range of information on the tax accounting rules in all EU countries. The reader seeking a general impression of the scope of the problem will quickly see the amount of adjustment needed if IFRS is taken as a starting point for designing a set of common tax accounting rules. The reader seeking a basis for taking an active part in the public debate will find a wealth of detail in the Appendices showing exactly how each country computes taxable income and grants tax incentives. The work, unrivalled in the literature, addresses a major knowledge deficit; its tabular form presentation allows exact comparison between all EU countries as well as between the present rules of any one country and the IFRS requirements.